The 39 Steps, 2017. Photo by Gregg LeBlanc. Message from the President: Imagine that we have handed you a great big box wrapped in rusty red paper. You tear off the paper, lift off the lid, and inside is an historical, lovingly preserved Barn. You say thank you, and we say, “Open the doors. The gift is inside.” And what do you find? Storytelling that is rooted in the earliest of human rituals. Plays that are entertaining, moving, and thought provoking. A mirror that provides a reflection of our humanity throughout the ages. And the unique communal experience that you find only with live theatre. This year, Ross Valley Players celebrates 86 years of bringing the gift of theatre to our community! We could not have reached this remarkable milestone without kind and generous support from you and generations of RVP supporters. This is why we ask you now to make a donation to Ross Valley Players. If you are already a donor to RVP, please renew – and consider increasing – your contribution this year. If you are a first-time donor, please include us on your giving list today. Help us to continue making theatre for our community for the next 86 years! The current climate for professional and community theatre is a sobering one. Some of our sister companies have fallen by the wayside this past year. We have secured our lease with the Marin Art and Garden Center, but our rent will continue to increase. This takes away from our production budgets, which have nearly doubled in the past few years. How do we remain competitive and continue to attract the caliber of directors, actors, designers, and production staff, and to offer the production values, which allow us to fulfill our mission to bring you high quality live theatre? Anyone interested in theatre is welcome to support Ross Valley Players. Supporters are the backbone of our organization, through monetary contributions and their loyal attendance at our shows! It’s easy to include Ross Valley Players in your will or living trust. We would be happy to meet with you to discuss planned giving and donation tax deduction. Call the Ross Valley Players now to get started: (415) 456-9555 ext. 3 to leave a message on our administrative line. Our treasurer will get back to you as soon as she is able. Alternatively, click the link below to send an email and start planning your gift. We are also happy to answer questions about writing off your donation. Easily support Ross Valley Players—sign up now to donate 3-30% of your purchase price when you shop online at stores like eBay and Kohl’s. Reduced Ticket Prices Discounted pricing for members and their guests to any regular season performance. Present your membership card at the box office to receive $4 off an unlimited number of tickets. General Membership Meeting Members are invited to the annual member’s meeting every June at the Barn Theater, where the upcoming season is announced, financials regarding the previous season are discussed, and members are invited to participate and voice suggestions or concerns regarding operations, etc. Eligibility for Election Only Ross Valley Players Members are eligible for election to the Board of Directors. Contribute Today Click on the link below: RVP is a registered 501(c)(3) non-profit organization. Your contributions are tax-deductible and all donors are acknowledged by category in the program for each show. 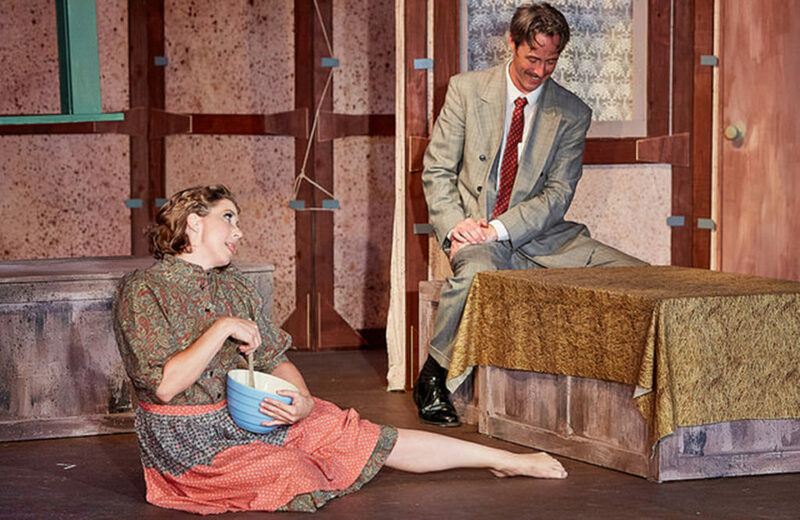 Join the Ross Valley Players and help us keep live theatre alive and thriving in Marin. Volunteer at any of our shows as an usher, concessions or box office. Get free admission to the show! You also get free admission when you sign up to work our refreshment booth at the Marin County Fair. To become a volunteer, please fill out the form below.